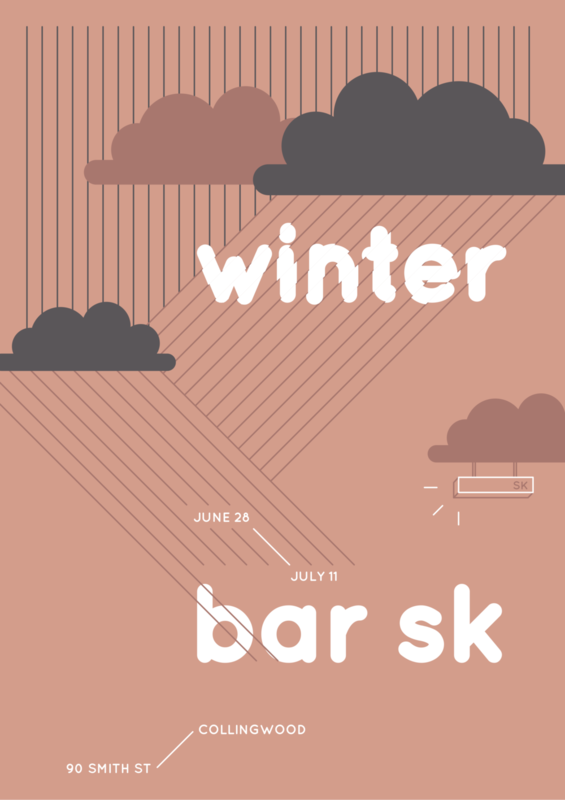 posters made for bar sk's winter exhibition event. 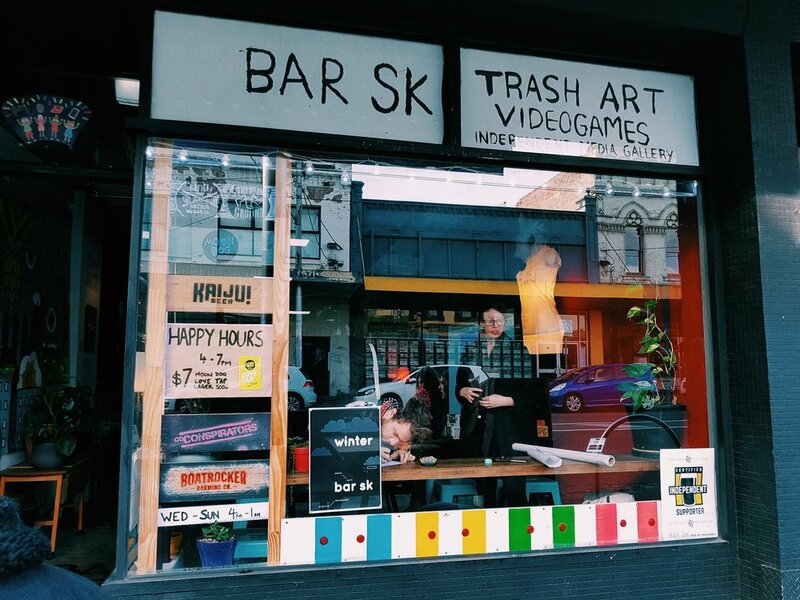 bar sk is a small bar on collingwood's smith st where you can play strange and unique video games while drinking good beers. both games and beers on tap regularly change. for the winter exhibition, i wanted to emulate the rainy mood of a melbourne winter, from which bar sk is a nice, cosy and warm shelter, hence the rounded typography.